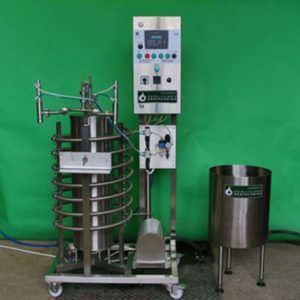 viscosity, and products that contain fibres and small particulates, like fruit juices containing pulp and fibres, fruit concentrates, beer mash, tomato juice and nectar, protein solutions, yeast and soft drinks. 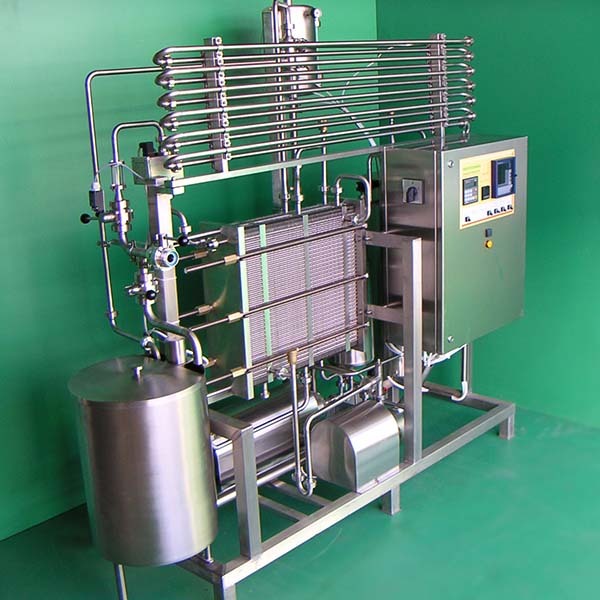 Tube in tube pasteurizer is constructed for pasteurization for liquids with larger particals (max 5-6 mm) in the fruit juice. In the tubular heat exchanger double tubes are nested, wherein the medium to be heated flows in the inner tube against the counterflow principle. Product pump from receiver tank through tubular heat exchanger section of the pasteurizer to the storage tank of the customer. Alarm system with optical and acustical signals for temperature and product flow limits. Data screen line recorder for pasteurization (outlet) temperature, and mode registration like pasteurization or cleaning, with PC-compatible memory card. 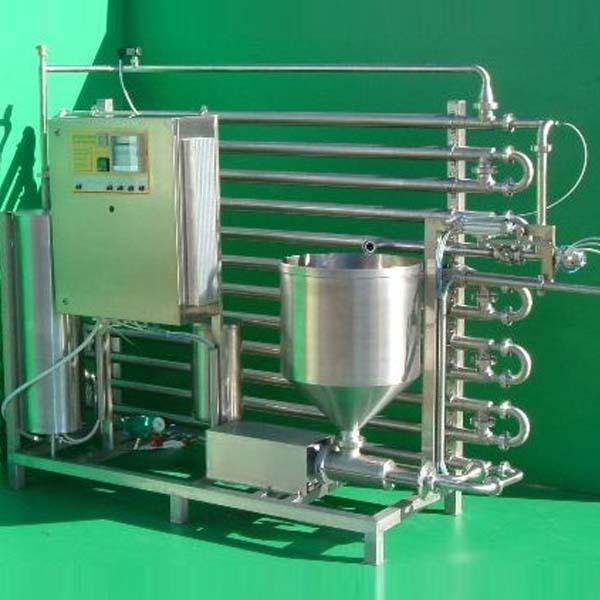 The pasteurizer is made to pasteurize fruit juice and meets the European requirements and standards. The basic tubular pasteurizer is heated by electricity. Alternatively, use of gas boilers, co-boiler, solar, steam or hot water heating is also possible. Weight, depending on specification, approx: 150 kg.